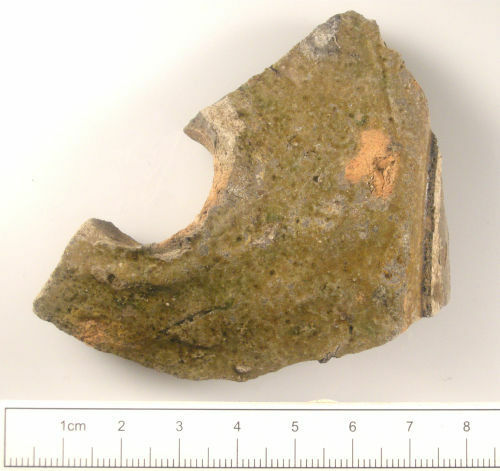 A wheelmade sherd from a green lead-glazed medieval bung-hole pot. Bung-hole from a Late Medieval and Transitional Ware cistern, 15th to 16th century. A body sherd from a fine, wheelmade medieval pot. The pot has been hard fired and coated with a thin slip of green glaze.